Meet a happy and smiling Ansel Elgort! 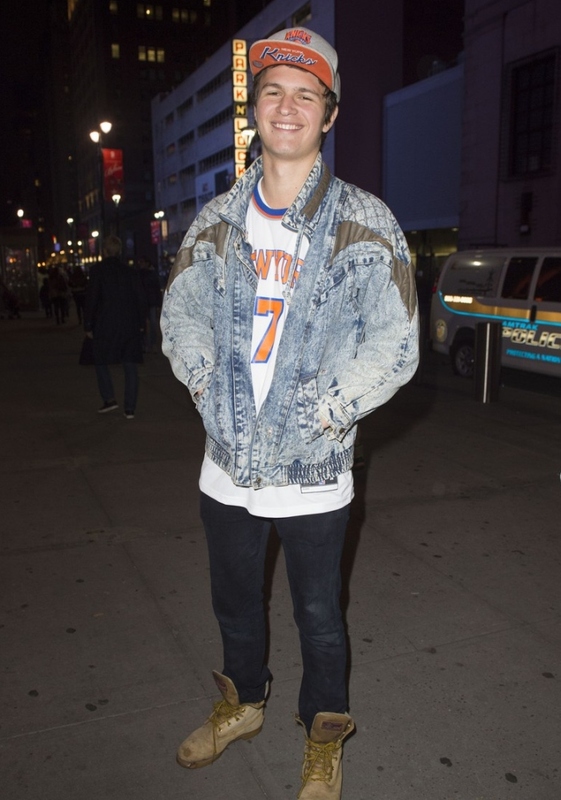 Ansel Elgort seemed to be all kinds of excited, making his way to Madison Square Garden for the Knicks game in New York City. The young and talented actor is a diehard fan of the team, so you can imagine his excitement when they put him on the Jumbotron! Ansel was wearing an oversized denim jacket in what seems to be an acid wash. The jacket is quite unique, featuring quilted shoulders and some nylon appliques. The jacket also has an elastic waistband and a zipper closure. Quite different from the denim jackets we usually see. My guess is that this might be a vintage item. You can find men’s denim jackets in similar washes and styles here. Previous articleHIUT – Selvedge Jeans Broken in – And Worn!